Update: These rankings have been updated. The third quarter snapshot is availablehere. Go: In our last rankings, it was predicted based on its trajectory that Go would become a Top 20 language within six to twelve months. Six months following that, Go can consider that mission accomplished. 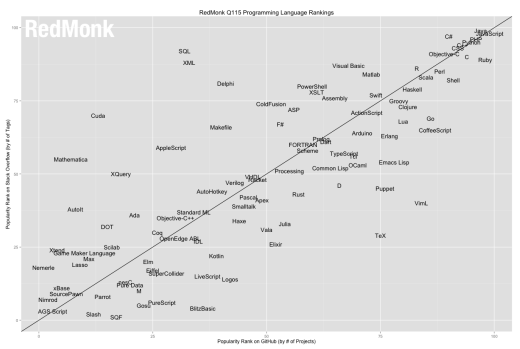 In this iteration of the rankings, Go leapfrogs Visual Basic, Clojure and Groovy – and displaces Coffeescript entirely – to take number 17 on the list. Again, we caution against placing too much weight on the actual numerical position, because the differences between one spot and another can be slight, but there’s no arguing with the trendline behind Go. While the language has its critics, its growth prospects appear secure. 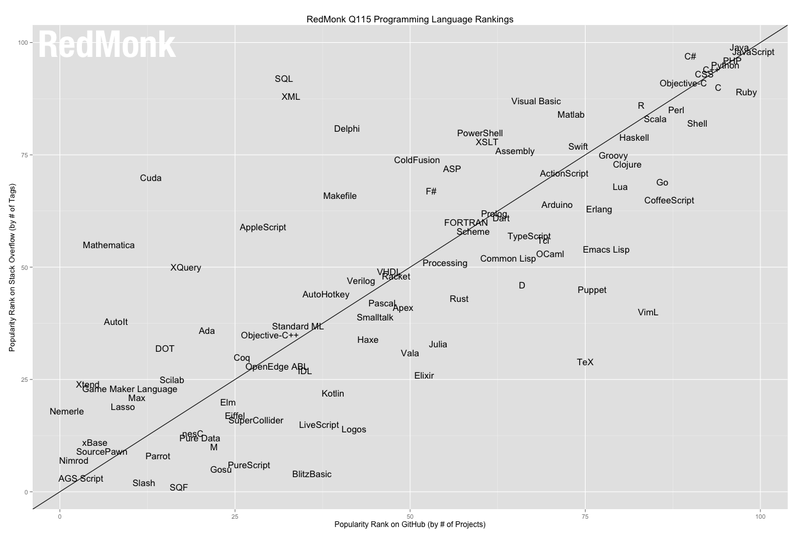 And should theAndroid support in 1.4 mature, Go’s path to becoming a Top 10 if not Top 5 language would be clear.